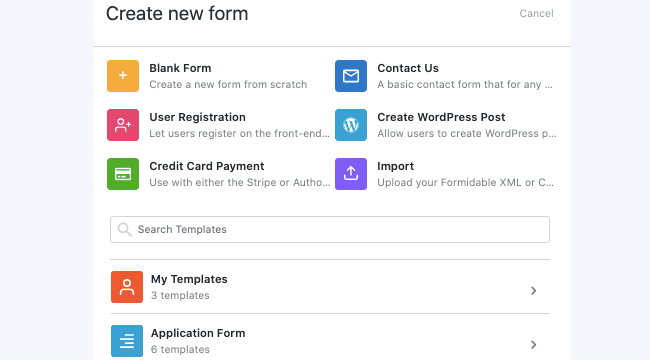 Follow these simple steps to create a WordPress form. Go to 'Formidable' → 'Forms' and click Add New at the top of the page. Choose from the three options available. Start with a blank form, choose a template, or import a form. 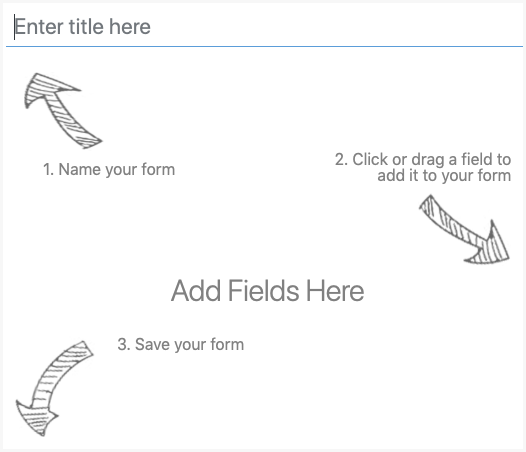 Click ‘Create Blank Form’ to start creating your own form from the form builder. Add fields to your form. 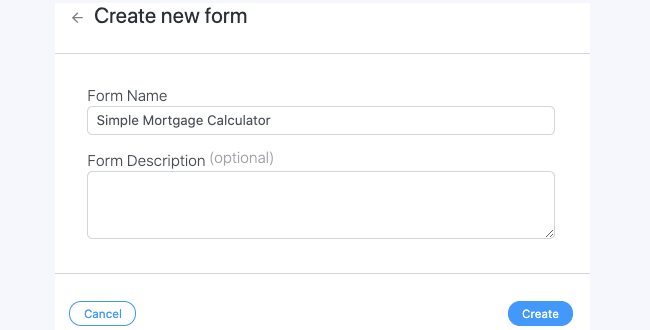 You can either use the drag and drop form maker or click on the field name to add fields at the end of the form. Learn more about the different field types. Click 'Create'. This saves your form and takes you to the Form Settings page. You have just created a form! To preview it, just click the 'Preview' button. 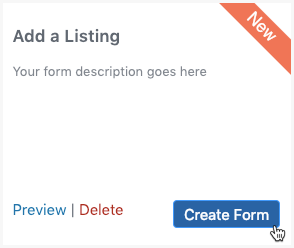 To learn more about the functionality that can be added to your form, continue reading the Building a form section. Or publish your form and see how it looks on your site. Go to 'Formidable' → 'Forms', click the 'Add new' button and select the 'Choose Template' button. Search and choose from the list of pre-made templates. Once you have chosen your prefered template, click the 'Create Form' button'. You will be redirected to the form builder where you could start using your form with the applied template. Build a form and set up form actions. If you already have an existing form, skip this step and proceed to step 2. 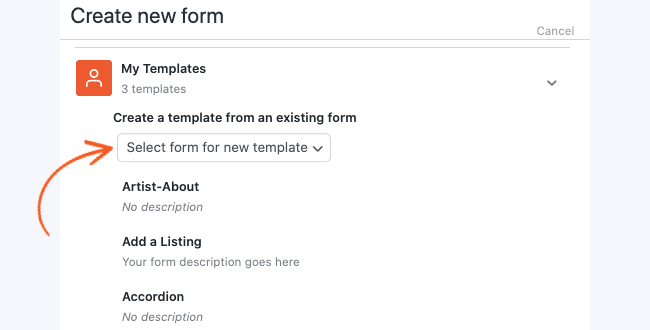 In the 'Create a Custom Template' section, select the form you created from the dropdown. Give your template a name and description. Click the 'Create' button. The template is created once it shows in the templates list. Optional: You can delete the original form if it was only designed as a template and isn’t being used on a page. For more detail on GDPR and what it is, read more in the blog about how to make GDPR compliant WordPress forms. If you are not collecting any personal information you can keep your surveys, polls, and other forms anonymous. Go to the Formidable -> Global settings page and check the "do not store IPs with form submissions" box to disable IP tracking. This affects future entries only. Removing IP addresses in existing submissions will need to be done manually in the database. To request consent, all you need is a required checkbox. Read more about how to include a link to agree to terms. Create a view to show a user their entries, and set up entry editing and deleting from the front-end. Learn more in the blog about the steps to GDPR compliance for the right to access and be forgotten. If you need an alternative way to export and delete form data, learn more about how to export and erase personal form data.